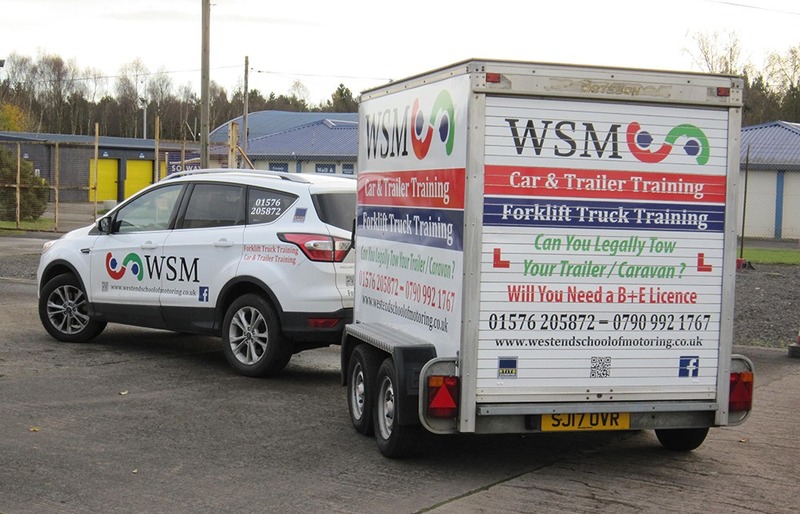 At WSM Training we provide a high level of service for all our drivers from Dumfries & Galloway, Borders and Cumbria. Book Now! Call 01576 205872. Our training area is based at Tinwald Downs Road, Heathhall Industrial Estate, Dumfries, DG1 3PH. Where you will have use of our private training area. What is the B+E car and trailer test? B+E Test is the Driver and Vehicles Standards Agency (DVSA) practical driving test for car and trailer. 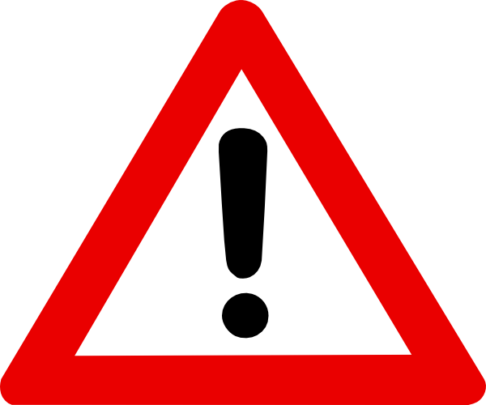 No medical examination or additional theory test is required. The test is regarded by the DVSA as the first step to driving Large Goods Vehicles (LGV) and is examined accordingly. The duration of the test is approx 90 mins. The driving test takes the candidate through a number of different exercises including a reversing exercise, coupling and uncoupling the trailer. In addition to the trailer manoeuvring exercises the candidate must show the examiner skill and competency on the highway including junctions, roundabouts, lane control, mirror routines, hill starts and angled starts, etc. During the test you will be asked a number of preset questions called ‘show me, tell me’ which must be answered either verbally or practically demonstrated. What can you tow on passing the B+E test? Successfully passing this test allows a driver to tow a trailer up to a gross weight (trailer plus load) of 3500kg (3.5 tons). This means a vehicle and trailer with a gross train weight of 7,000kg (7 tons). Did you know that it is illegal to TOW a Trailer without the proper Driving Licence? 9 Penalty Points (3 points for the missing licence entitlement and 6 points for no insurance owing to the fact that you are driving without the correct licence) and up to a maximum fine of £5000. Category B: Vehicles up to 3.5 tonnes MAM (Maximum Authorised Mass) and with up to eight passenger seats. The same vehicle with an unladen weight of 1.25 tonnes and a MAM of 2 tonnes when coupled with a trailer with a MAM of 1.5 tonnes would fall within category B+E. This is because although the combined weight of the vehicle and trailer is within the 3.5 tonnes MAM limit, the MAM of the trailer is more than the unladen weight of the drawing vehicle. Vehicle manufacturers normally recommend a maximum weight of trailer appropriate to their vehicle. Details can usually be found in the vehicle’s handbook or obtained from car dealerships. The size of the trailer recommended for an average family car with an unladen weight of around 1 tonne would be well within the new category B threshold. Category B+E allows vehicles up to 3.5 tonnes MAM to be combined with trailers in excess of 750kgs MAM. In order to gain this entitlement new category B licence holders have to pass a further practical test for category B+E. There is no category B+E theory test. At WSM Training we strive to achieve a high level of service for all our drivers from Dumfries & Galloway, Borders and Cumbria. All our courses are tailored to your requirements. To tow a trailer, caravan, boat, horsebox etc. up to 3500Kg, you will need to add Category B+E to your car licence (Cat B). This means passing another driving test with a trailer before you can go on the road. 1 hour to assess driving and reversing abilities. 6 hours training plus 1 hour’s training prior to test and time on test (approx 1½ hrs). Ideal if you have plenty of towing experience, i.e. reversing, coupling, uncoupling and your driving skills are at a high level of competency. 2 x 5 hour training days plus 1 hour’s training prior to test and time on test (approx 1½ hrs). If you haven’t had any or very little towing experience and your driving skills are to a good standard. New owners of a trailer, horsebox or caravan and who hold B+E Category on their Driving Licence. This is a practical driving course which you can take and use your own car & trailer, horsebox or caravan. A new job requiring you to drive towing a trailer e.g. farming, forestry, construction or catering industries. Or for those who just need a confidence boost to tackle towing a larger trailer, horsebox or caravan. We cover all aspects of trailer/horsebox/caravan training and we can refresh your driving skills and boost your confidence. On Road – in handling and awareness, observations, road positioning, planning, signaling, use of controls, mirrors and speed. Off Road – reversing, braking, uncoupling and recoupling of the trailer/horsebox/caravan. LOOKING FOR FORKLIFT TRAINING, DRIVER CPC, FIRST AID, CAR & TRAILER TRAINING COURSES?